[/frame]Dr. Dakshinamurthy talks with Analytics India Magazine about analytics education at INSOFE. [dropcap style=”1″ size=”2″]AIM[/dropcap]Analytics India Magazine: Can you brief a little about the course curriculum and pedagogy of analytics education at International School of Engineering (INSOFE)? [dropcap style=”1″ size=”2″]DVK[/dropcap]Dr. DAKSHINAMURTHY V KOLLURU: When INSOFE’s programs were designed, statisticians, computer science experts and tool experts were involved in designing a unique curriculum which would ensure that a student would know how to use a tool, know the problems being faced in the industry and also be able to solve these problems using advanced techniques. In INSOFE, majority of courses are extensively hands on and not just managerial. We give the big business picture but also lot of emphasis is on problem solving as well. AIM: How is INSOFE different from similar players in India providing analytics training and education? DVK: INSOFE’s major strength is its mentors.We identified the perfect blend of industry and academia. At present the principal mentors include (i) a Ph.D from Stanford, who taught at MIT and Harvard and worked for research labs of IBM & GE. (ii) Another is a Ph.D from Johns Hopkins with 22 patents on his name. There are Ph.Ds from CMU & University of Pennsylvania with extensive consulting and teaching experience. We can confidently say that our faculty is second to none globally. Our certification partner, Language Technologies Institute of Carnegie Mellon University, saw the class videos and commented that that the amount of liveliness, enthusiasmand passion that faculty bring to class in additionto their expertise is unmatched. Our mentors and the curriculum of our programs make us different from all the other analytics training institutes in India. AIM: What technologies are behind learning analytics? DVK: Analytics is a combination of computer science, programming, statistics and business. So, learning is essentially interdisciplinary. One has to start with pre-processing data. A crucial skill is visualization. Then one should be comfortable with a bunch of algorithms. In addition, one should understand how inductive learning differs from the rest. Finally, skill in one language (R, MATLAB, SAS, SPSS etc.) is mandatory. AIM: What are the major obstacles facing education on data and analytics in India? DVK: It is the same as those facing any other education in India, lack of quality faculty. In addition, typically analytics education is either tool focused or business focused. These programs create either those that can talk big picture or those that can implement a well defined task. There is a lot of need for people who analyse the problem, design the solution architecture and come up with an algorithm. This is not seen in most training programs. AIM: Where do you see the bulk of your business coming from? Do Indian organizations have the same affinity towards BI/ Analytics training as that of organizations from other regions? DVK: In fact, from batch one, our focus is corporate education. More than 60% of our students are sponsored by the companies. We cannot at this point comment on how this compares with the rest of the world. But, there is a lot of interest in analytics education amongst employees. We are also launching e-learning programs and believe there will be increased interest from corporates. AIM: Can you provide three examples of employers where you have placed an INSOFE student and name the job titles into which they were placed? What were their average starting salaries? DVK: All our students in the past are working professionals with varied starting salaries. Only in the current batch we started accepting freshers.As mentioned, 60% of our students are sponsored by their respective organizations which are intending to set up a center of excellence. In those cases, the corporates internally design a compensation scheme for the employees. We do not place them. All this makes the average salary difficult to arrive at. So, I shall give three examples which should give a picture of scenario without revealing the confidential details. A MNC absorbed this student who had around 10 years of experience and working in a fortune 50 company, with a 40% hike (from 18 to 26 lakhs), 3 months into the course. One of our students was working as a programmer with 4 years of experience in a start-up. He got placed into one of the fastest growing start-up analytics firm at 50% hike (from 6 to 9 lakhs). Another student of INSOFE from one of the largest services company in India testified that she got the highest appraisal in 10 years of her career (15%) and was put on a very important assignment in the organization and credited it to skills she acquired from INSOFE. AIM: What are the most significant challenges you face being in the forefront of analytics space? AIM: Anything else you wish to add? DVK: At present, we are working on creating flexible and thorough programs based on multiple requirements in analytics. Currently we have classroom and e-learning programs and in class we have modelling and computing emphasis based programs. We also have rigorous project work with our programs. In the long run, INSOFE wants to be a university and offer full-fledged programs not just in analytics but in a variety of areas. We will focus on analytics now for a couple of years but we are open to offer programs in product development, biotechnology, Nano-materials where there is a requirement for specialists. Dr. Dakshinamurthy holds a Ph.D. from Carnegie Mellon University and BE from NIT, Tiruchirapalli. 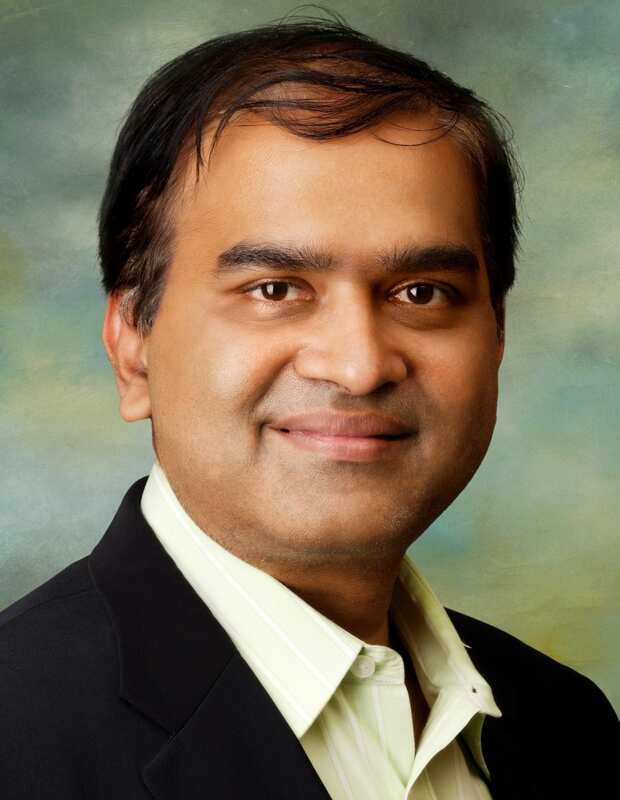 During his years of experience as a scientist and entrepreneur, Murthy has applied his strengths in logical thinking, math and science to solving industrial and societal problems, designing solutions from fundamentals, identifying, training and motivating high quality individuals, and to articulating the findings in a lucid manner to all the stakeholders. He has applied these skills in such diverse areas as Web 2.0 software development, mathematical modeling of capital markets, e-learning programs for rural students, intercontinental ballistic missile design, etc. Murthy built the Business Analytics and Optimization division of Prithvi from scratch and filed for 5 patents in Retail and Telecom Analytics, during which time he also acquired Fortune 500 clients and turned the division into a profitable delivery centre. I am a CMU Alumnus who used the ALGOL programming in 1964! and received a Doctorate for a Mathematical Model for the movement of inclusions in steel in 1969! A really ANCIENT TARTAN! My daughter and her spouse are also from CMU. The latter a graduate in Computer Science. Currently as President of Technovations International Inc, I am planning to establish a business in India to provide Data Mining and Analytics services for the manufacturing companies. Would you like to collaborate? Please visit our website to know who we are and what we do.